Missy is a a friend I met at a Knitting Pipeline retreat. She is an amazing knitter, does beautiful smocking and sewing for her granddaughter, and now has been bitten by the quilt bug. Check out her instagram feed here, Marynvoigt. 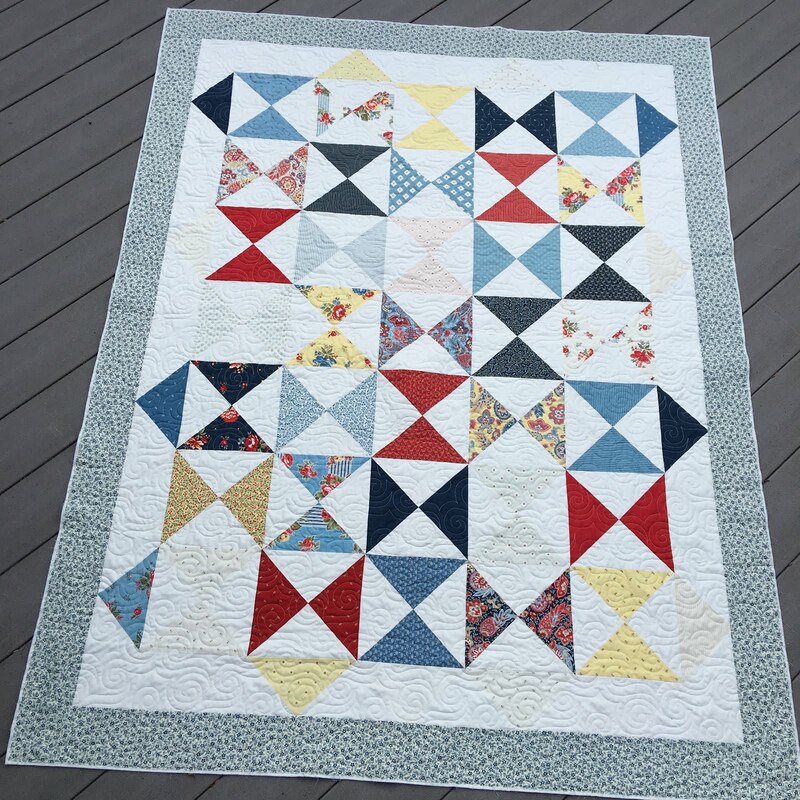 Missy's first quilt is an Hourglass Quilt pattern. Don't you love the fresh blue, red and yellow color palette?! 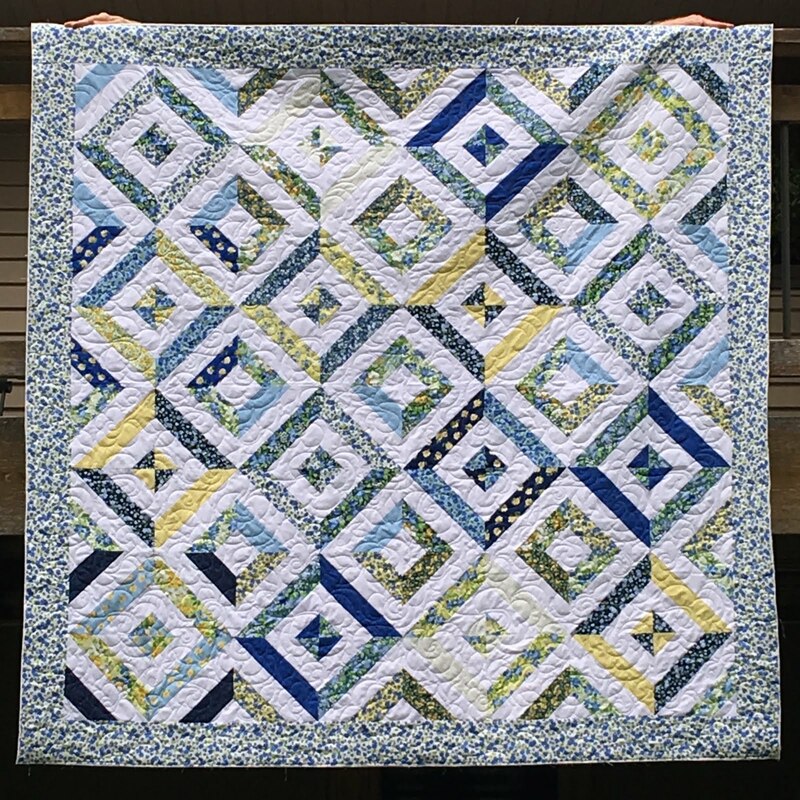 Summer in the Park quilt, Missy's third quilt, is a jelly roll quilt pattern from Missouri Star Quilt Co. I love the border and backing fabrics she used! So sweet! 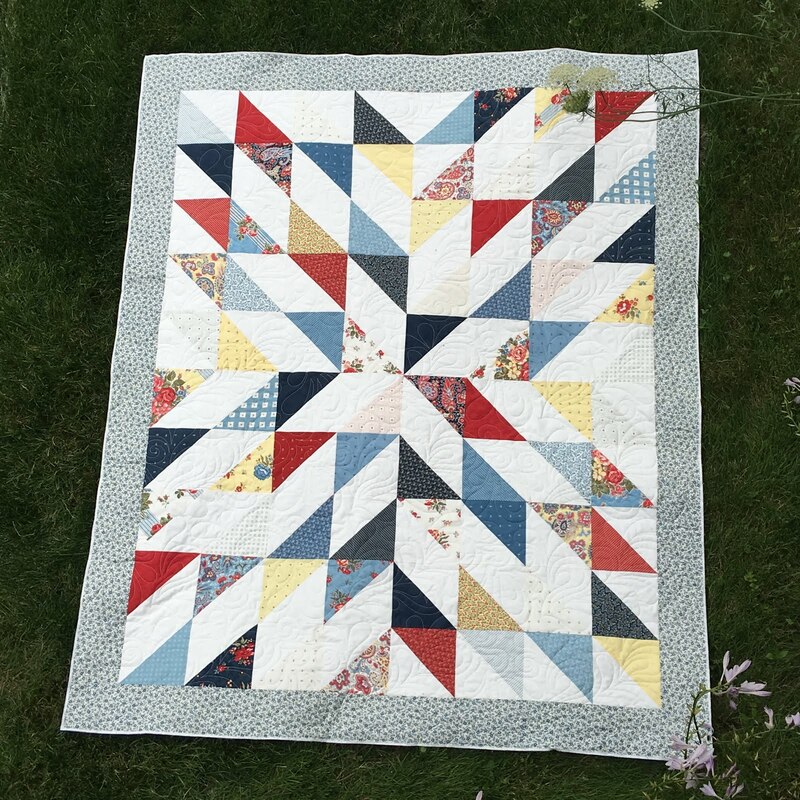 Missy made this quilt for her niece, one lucky gal! Great job X 3, Missy!!! Linking up with Freemotion by the River, Clever Chameleon, Let's Bee Social, Midweek Makers, N&TT, Confessions of a Fabric Addict. Those quilts are all so fun! 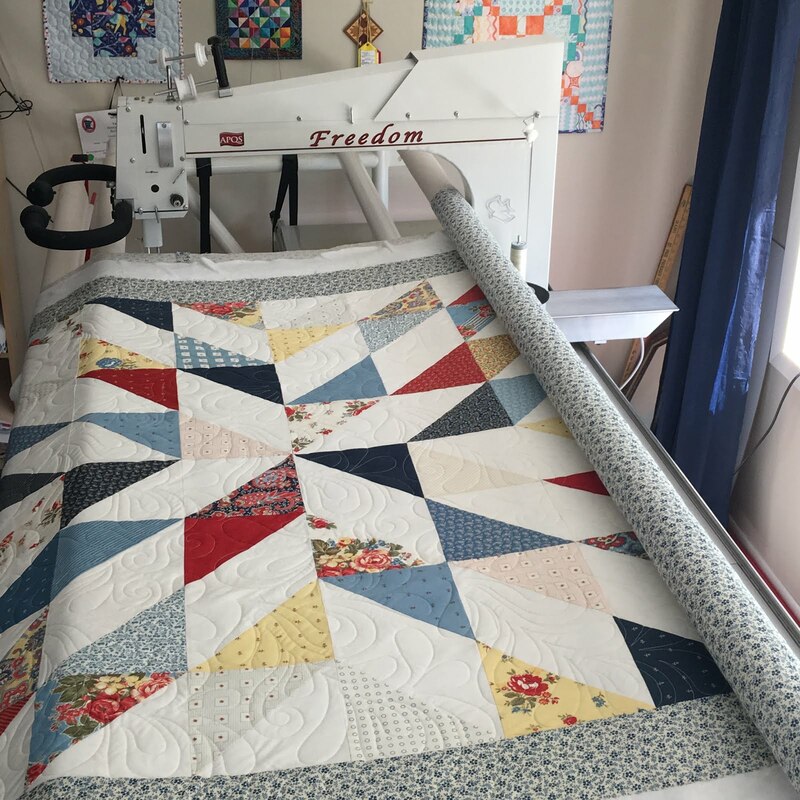 I love when a new quilter starts making so many quilts all at once. Pretty quilts! Love the quilting too! Go Missy! Thank you so much Nancy! 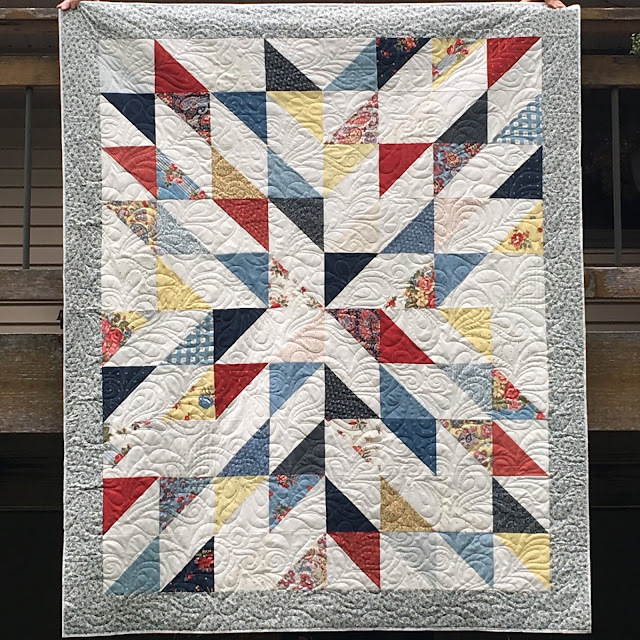 I have definitely been “bitten,” and am so inspired by your blog and encouraged by so many kind words from you and other lovely quilters! 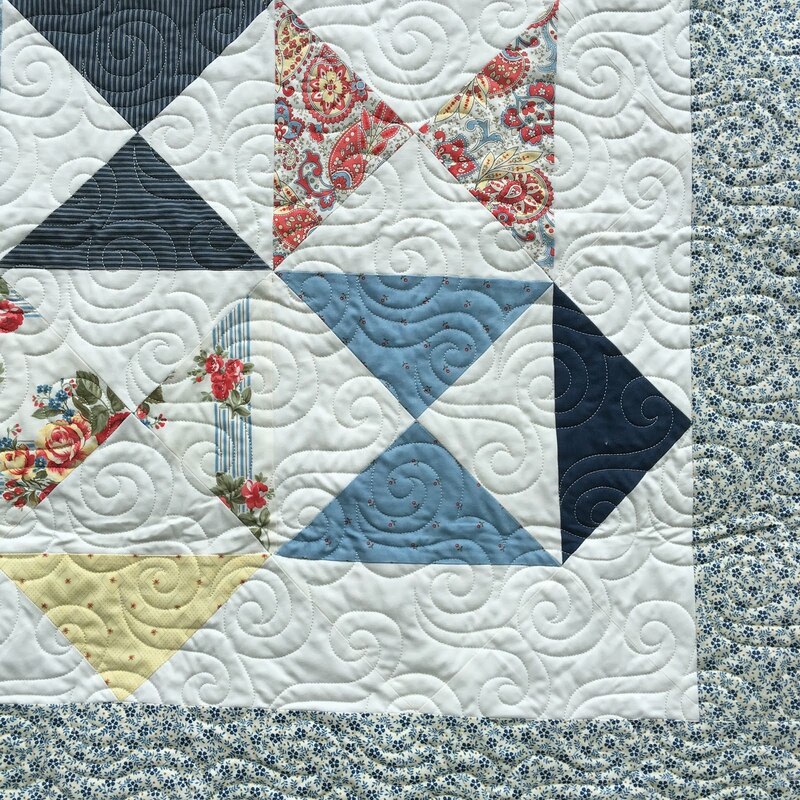 Lovely quilting. She has been bitten by the bug! I love the fresh fabrics and quilting! Thank you! Nancy really gave them so much personality! 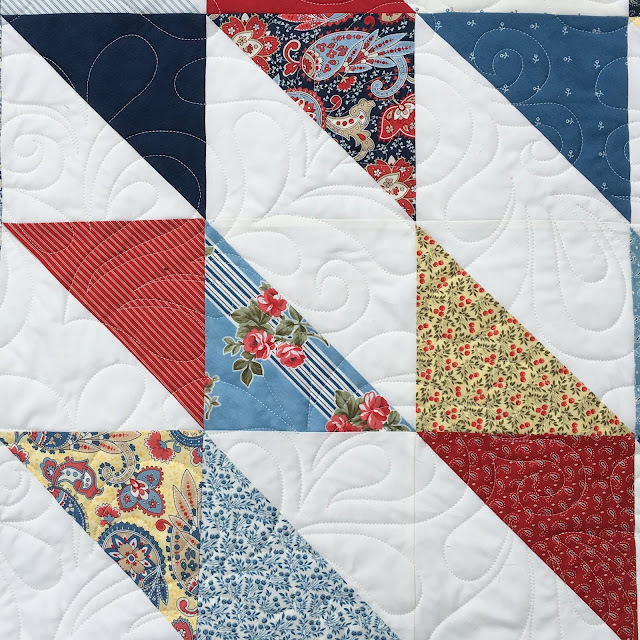 Your quilting is perfect on these. Yes, those colors do look fresh. Looks like we have a new convert to the shared addiction, LOL!! Yes indeed! 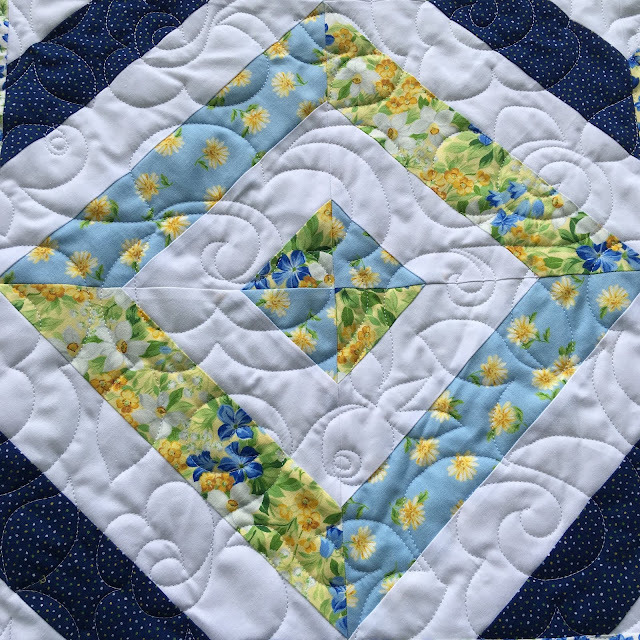 I think the quilting is just exquisite! Missy is killing it with her quilts!! I love when new quilters get bitten by the bug! 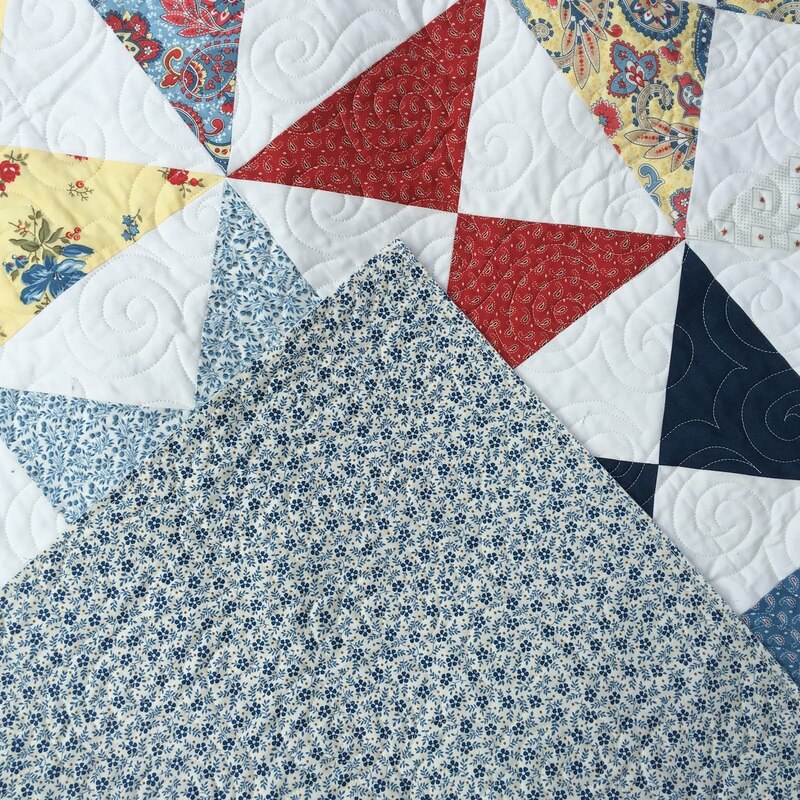 You quilted beautifully on all three of them. I'm sure Missy will be very happy with the results! 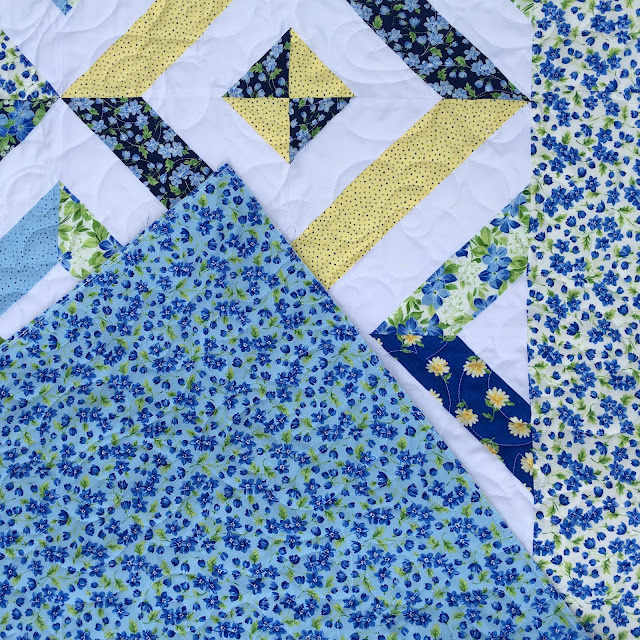 Love, love, love these fresh happy quilts. 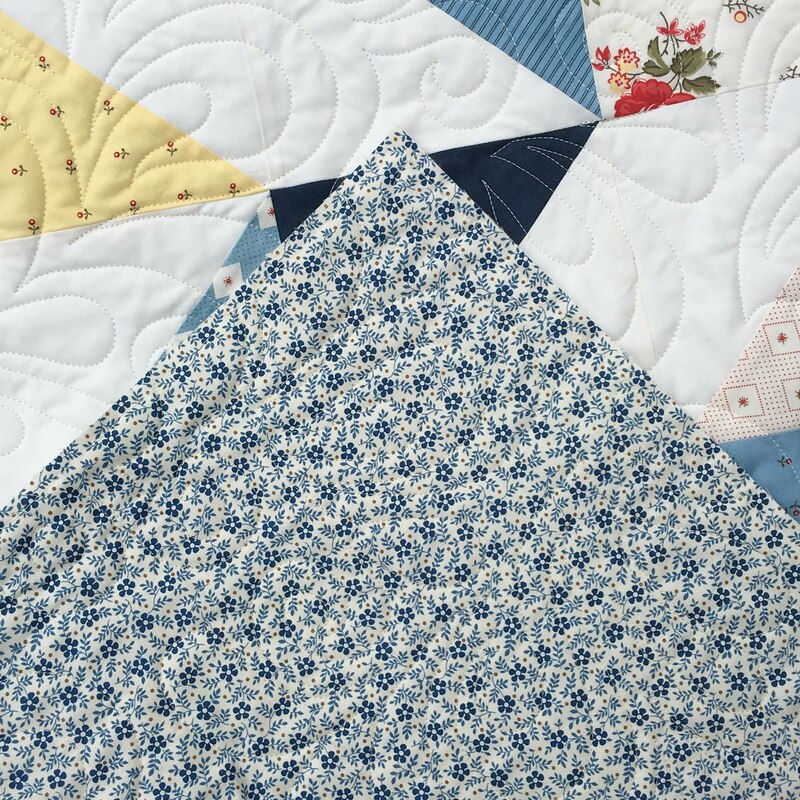 Your quilting designs really make it sparkle. How talented you are. Your photography really picks up the wonderful details in the fabrics and in your quilting design. I agree - the quilting just brings them to life! I have a lot to learn, and yes, I was absolutely thrilled with each one of these! Beautiful work. Great colors in your quilts and love your quilting designs. 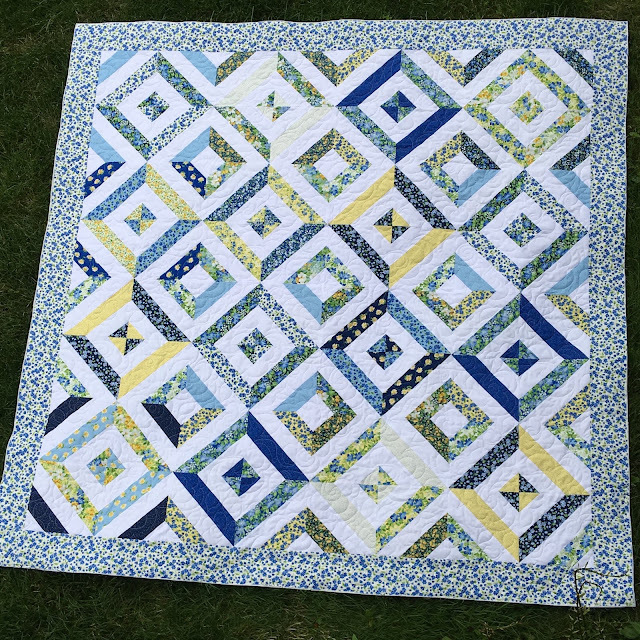 The quilting definitely makes the quilts and minimizes all my little imperfections!!! 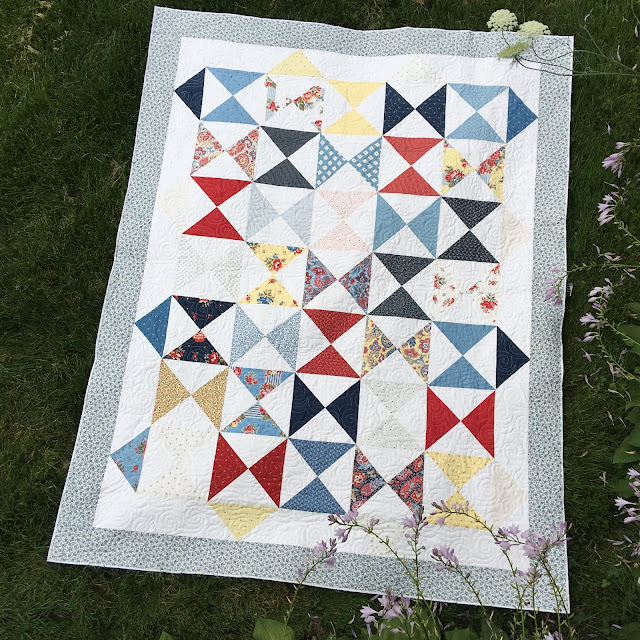 I really just love the piecing, the fabrics, and the geometry of it! These are all lovely! 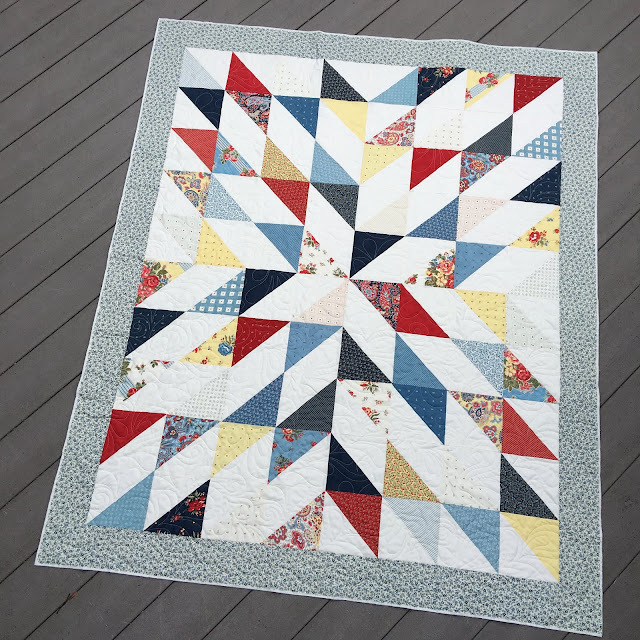 I especially love the quilting on the Starburst quilt! Thank you! I love that pattern too!! What beautiful quilts, and great job with the quilting! Wow, no one would ever guess Missy is new to the quilting thing, although already an accomplished crafter, so perhaps not that green really. A natural for sure, and I hope she keeps sending you the quilt tops thick and fast! My favourite it the blue, green and yellow one. Thank you so much! It is so much fun learning a new skill, and all of you are so nice and encouraging! !